In 3-quart saucepan, heat enough water to cook bratwurst to boiling. Add bratwurst; boil 8 minutes or until no longer pink inside. Drain; set aside. Unroll dough; separate into 4 rectangles and press seams to seal. 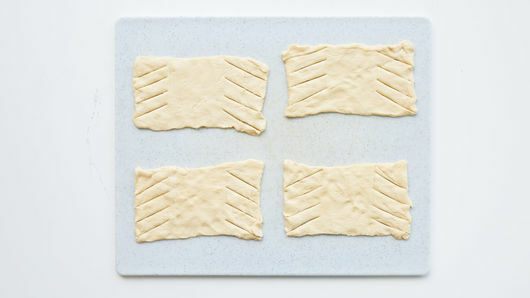 Use knife to make 4 angled slices on short sides of each rectangle, leaving about 3 inches of uncut dough in center. Spread 1 tablespoon mustard over uncut dough of each rectangle. Spread about 1/4 cup sauerkraut over mustard on each; top each with 1 cooked bratwurst. 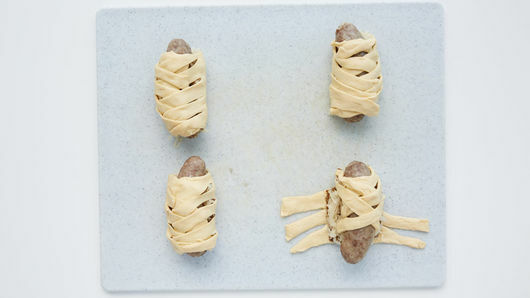 Bring dough strips up over bratwurst on each to form a braid. Place on ungreased cookie sheet. Brush each with beaten egg; sprinkle with pepper. Bake 12 to 15 minutes or until deep golden brown. If desired, serve with extra mustard. Serve with beans or potato salad for a heartier German-inspired dinner. Don't like sauerkraut? 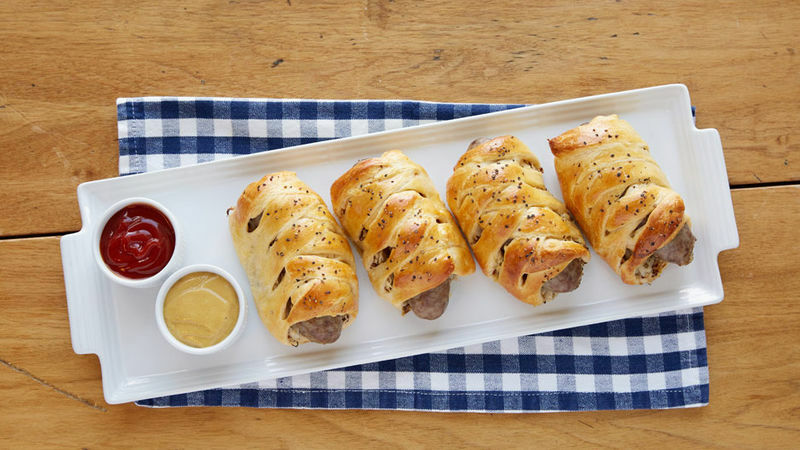 Try switching it out with sliced avocado for a creamier brat! Add a slice of cheese before baking to take things to the next level!